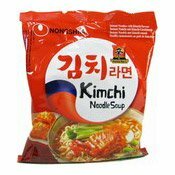 Allergy Advice: Contains Wheat, Soya Bean, Milk, Sesame. 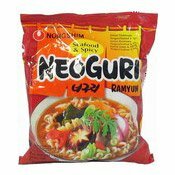 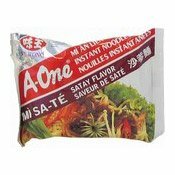 Soup Base: Salt, Whole Milk Powder, White Sugar, Flavour Enhancers (E621, E627, E631), Sesame Seed, Flavour And Flavouring (Pork), Garlic Powder, Yeast Extract, Glucose Syrup, Spice, Hydrolysed Soy Protein, Palm Oil, Soya Sauce Powder (Soya Bean, Wheat, Salt), Dehydrated Green Onion, Onion Powder, Rice Oil, Anti-caking Agent (E551), Milk Protein, Colour (E150a), Acidity Regulator (E330). 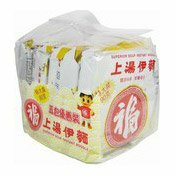 Seasoning Sauce: Sesame Oil, Flavour And Flavouring (Pork, Chicken), Soya Sauce (Soya Bean, Wheat, Salt), Cooking Wine, Palm Oil, White Sugar, Rice Oil, Flavour Enhancer (E621), Salt, Thickener (E466). 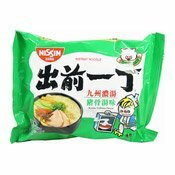 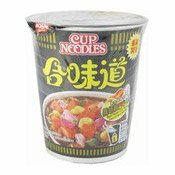 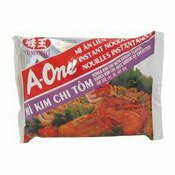 Simply enter your details below and we will send you an e-mail when “Instant Noodles (Artificial Pork Flavour Tonkotsu) (出前一丁九卅豬骨濃湯麵)” is back in stock!